For community organizers in New Orleans, action to oppose the carceral state first requires the building of community. The previous day, two Baton Rouge police officers had shot and killed Alton Sterling in front of the Triple S Food Mart convenience store; another in a long string of extrajudicial killings of Black people in the United States. Feeling as though they had nowhere else to go for support in the wake of this fresh injustice, the students had come to VOTE, but were disappointed and furious to find that the large atrium was not packed with angry throngs of people demanding due process. Without that visible anger, where, the students contended, is the justice? Where is the politics? VOTE has become a trusted resource because its staff and members mobilize their own experiences and expertise to educate others about the criminal justice and legal systems in Louisiana, opening imaginative horizons for new and possibly better worlds. VOTE is founded and run by formerly incarcerated and convicted people in New Orleans, Louisiana—one of the most incarcerated states in the United States. In lieu of direct social or legal services, and among their myriad approaches to organizing against the carceral state, they act as an information hub, a place where people can gather information and find direction. VOTE is where people come to understand the complexities and plasticity of the criminal justice and legal systems before they can begin to imagine any ground-level logistical or high-concept political interventions concerning their own situation. For many people who come in search of information, often family members of people arrested or convicted and incarcerated, people on probation or parole, or concerned people like the three university students, VOTE has become a trusted resource because its staff and members mobilize their own experiences and expertise to educate others about the criminal justice and legal systems in Louisiana, opening imaginative horizons for new and possibly better worlds. Their work, whether through community forums, canvassing, letter writing, one-to-one conversations, or lobbying for local- and state-level policies, is imbued with politics and the pursuit of justice—with deeply affective dimensions. Much like the university students, I was initially surprised that organizers seemed relatively even-keeled in their everyday dispositions and practices. When I asked Dolfinette how she sustained her work, she told me that while intensely affective responses to carceral encounters necessarily dissipate, they can also settle into people long afterwards. “I mean I take it home, I can’t lie to you. People telling me you can’t take this home. How can you not take it home? Right, because again, I’m the people that I’m trying to help. I’m hurt. I. am. hurt,” she told me. Audre Lorde has explored anger and its affective power in response to racist attitudes, describing it as “loaded with information and energy,” not diffuse like hatred but refined and directed toward a goal for change. A source of pain and survival, Lorde argues that she will only replace anger when she finds a suitably powerful substitute (1984, 127). For VOTE organizers like Dolfinette, the time spent surviving and organizing means that anger, while a useful shepherd, can be exhausting. They engage and teach at the intersections of love, politics, and the law to counter the nebulous boundaries of carceral expansion and the intense affects—confusion, fear, and indignity, even complacency and disaffection—that people carry with them before, during, and after carceral encounter. not solely beholden to the condition that [our] interactions service the anthropological project…ways of being with one another that center the process of learning people (not learning about them, but learning who they are) in context and in real-time…ways of being with one another that lead us to new realizations and help us cocraft innovative solutions to the project of living in this world that may or may not directly respond to our initial research preoccupations. I find a happy synchronicity between VOTE organizers’ approaches to research, pedagogy, and communication and these scholars’ ideas of what Black feminist scholarship and anthropologies could be. Love is a cause and effect, a relation that develops between and among people who are trying to mitigate the violence of the carceral system. Love, here, is not a categorical thing, neatly package-able for social scientific analysis. It is not politically tangible, not easily wielded by organizers on command. Instead, love is a cause and effect, a relation that develops between and among people who are trying to mitigate the violence of the carceral system. In this sense, love-politics is about affective potential, interaction, and interdependence. It is about moving with and alongside others against the ramifications or looming threats of carceral encounter but also for new political imaginaries and circumstances. In Dolfinette’s centering of the students in the monthly meeting and encouragement to voice their frustrations within a public sphere that previously seemed elusive, she answered their questions: justice and politics were right in front of them and ever-present, developed through their relations with one another. In many pockets of New Orleans and Louisiana, the carceral system has so pervaded daily life that—as many VOTE members contend—being directly impacted by it is not the exception but the rule. Yet, the circumstances and particulars of each encounter vary, from interactions with police officers that may or may not result in arrest to disciplinary measures at schools that may or may not send students on the trajectory of the school-to-prison pipeline. To complicate matters, people use their own experiences to interpret these encounters, and VOTE’s organizers must contend with balancing their interlocutors’ individuated understanding of the particulars of their situations with a generalized structural critique that accounts for these particulars. Through activism and movement building, organizers practice a politics that confronts the expansiveness and elusiveness of the carceral system as well as how people have commonly come to understand that system and their susceptibility or circumstance as shaped by identity categories, including race, class, sexuality, and ability. To achieve this, they enact an ethic that resists paternalistic rigidity in favor of reciprocity; they focus on shared and complementary capacity as a way of thinking, negotiating, and strategizing about, around, and beyond identity and identity politics. Identity politics has been treated as a problematic in activist and academic circles, critiqued as a limiting push for state recognition and confessional shortcut through self-exposure of injury, a manifestation of neoliberalism’s individualism, and a key to market-ready legibility. Both Nash and Dominguez propose love-politics as an alternative to identity or intersectional frameworks, to consider the ways in which affective politics might encompass—or emerge beyond—identity politics. For VOTE organizers, an identity politics and notions of selfhood exist in their practices, but are neither fixed nor particularly useful in every situation. They often argue that the people they work with are the most marginalized, holders of little to no political power without coalitions willing to join them. One of the reasons for the intractability of carceral expansion, especially through the lens of electoral organizing, is that voting publics have traditionally been uninterested or even hostile to appeals made on behalf of particular identities. Identity politics is but one piece of a multifaceted, multifarious love-politics practiced as relationality, forged through attention to and nurturing of individual and shared capacities. Theirs is a love-politic that helps them find strengths in acknowledging mutual vulnerabilities, risks of indeterminate futures, and the necessity for open communication. VOTE’s executive director, Norris Henderson, begins their community forum meetings by explaining, “I will reach my hand out, but you’ll have to grab it, and you’ll have to reach your hand out to get a hand up.” Before community or electoral organizing and before policy interventions, these organizers must first demonstrate through their practices and actions that such a community can exist. 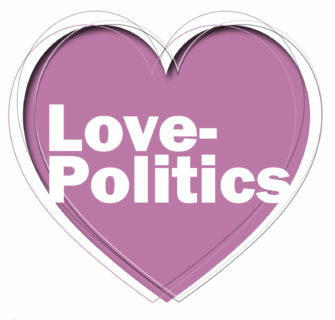 Love-politics means an open commitment by organizers that they are accepting of people who show up as they are and bring with them what they can. In their honesty and openness about their own capacities and limitations, they welcome those whose capacities are different or otherwise. VOTE organizers use practices and ethics of love, not as a replacement for anger but as a guiding principle to direct it, which informs their ability to openly convey their own capacities and vulnerabilities as individuals who cannot face a nebulous, systemic force alone. Much like the people who seek them out, organizers also have to brace themselves for the same chronic and systematic patterns of precarity, stigmatization, vulnerability, and threats of future crises. They must persuade an individual, often in an intense affective and emotional state, that their experiences do not only belong to them. Somewhere between political strategy and analysis, organizing and the building of interpersonal relationships, lays an affective response to these encounters. The relation is often just as important as the particular situations and affects that accompany their engagements with others because, as one might surmise, building a movement requires a critical mass of bodies moving in sync just enough to induce change. Keahnan Washington holds a graduate certificate in Women’s, Gender, and Sexuality Studies and is a joint PhD candidate in the Departments of Anthropology and African American Studies at Yale University.